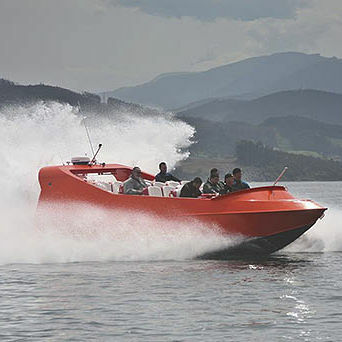 The Jet Boat Moggaro 900 Water Jet is actually the jet boat for 22 pax better prepared for the open sea. The security offered for the sailing are unique in the world. Moggaro 900 Water Jet, has the CE homologation. The Moggaro 900 Water Jet is at this moment the best jet boat more than 12 passengers for water sport companies.